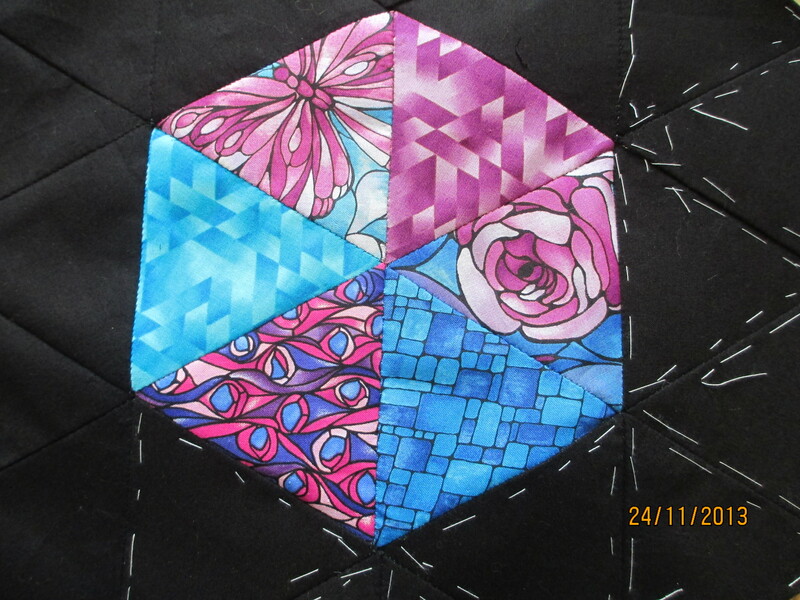 I have a new quilt in progress, but this time I am sewing it by hand rather than use my sewing machine. This has turned out to be a good idea as I can do bits and bobs during my daily commute to work on the train, and over the last few days when I have been confined to bed with a nasty sore throat and sinus infection, I have been able to pick it up for short intervals. I am still experimenting with simple patterns and shapes before deciding which more detailed project to do next. 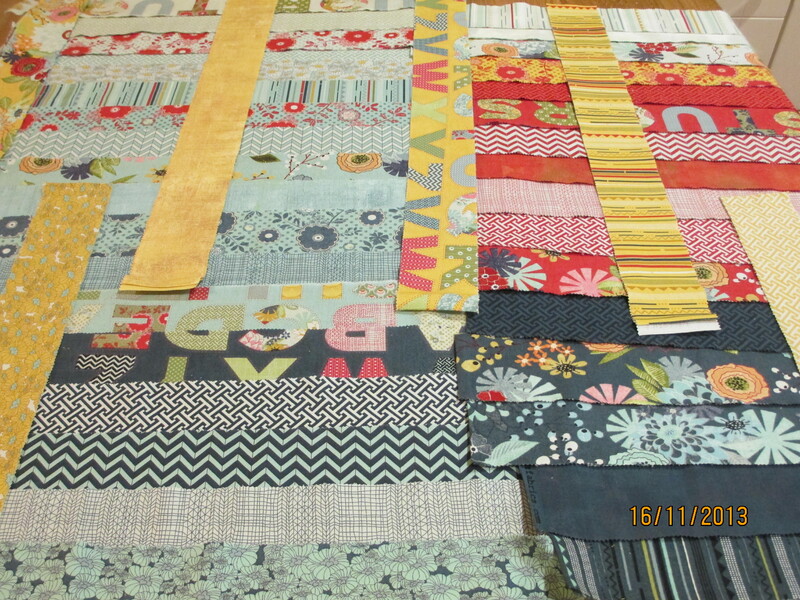 As well as doing this quilt by hand, I also have my next machine-quilt material in the form of a Moda Jellyroll, ready to put together when I feel better. This is PB&J by BasicGrey for Moda Fabrics and I can’t wait to get going on sewing the strips together. Crafting, including quilting, is a great hobby to have for anyone who is restricted in the level of activity they can do. Before my M.E/CFS diagnosis I would spend most of my free time forcing myself to be active; swimming, golf, heavy gardening anything physical that I could manage. I would wonder then why I ended up totally exhausted. These days, I have different hobbies. Thankfully my 18 year old son now has his own circle of friends he can play sports with, leaving me to focus on more gentle interests. I do miss the activity.I hate being so restricted and having to turn down team-building social events after work because it means late nights. I hate having to weigh up the pros and cons of doing any activity before I make a decision but there are compensations. My wonderful friend Colleen who has early-onset Parkinson’s Disease has a fantastic approach to dealing with her illness. For every activity she finds herself unable to do anymore as a result of the PD, she finds something else she can do. 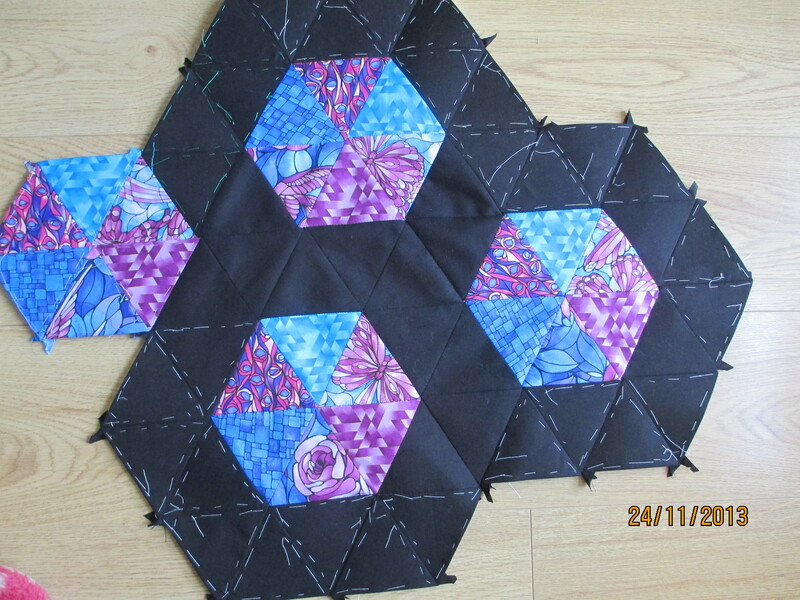 As a result she”fills the gaps” and learns lots of new skills as a result. Good on Colleen and I’m learning to adopt her approach. Whilst my golf clubs are gathering dust in the garage and my garden is not as immaculate as I would like, I now have a new quilt on my bed, my niece’s wedding scrapbook part completed, a handmade card for any occasion and a material stash that anyone would be proud of. I love colour and apart from my garden in full bloom, nothing provides such vivid and varied colour like a craft stash! It’s like living with a rainbow everyday. What a great idea, to trade out. Love the bursts of color!